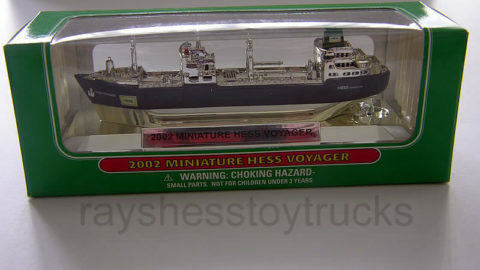 This Rare 1969 Amerada Hess Tanker Truck was not released to the public and very hard to find. Comes complete with truck, box and all packing. 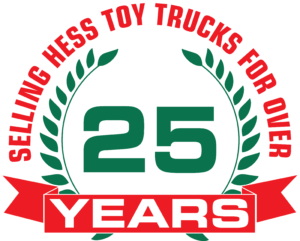 The truck measures approximately 13″ in length. This Rare 1969 Amerada Hess Tanker Truck was not released to the public and very hard to find. Comes complete with truck, box and all packing. 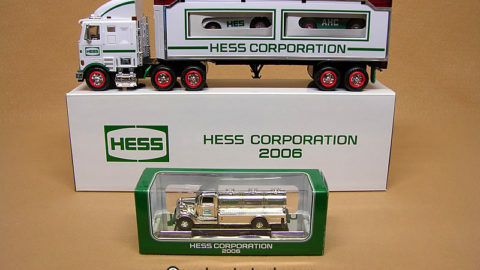 One of the most difficult trucks to find in the whole Hess collection. In 1969 the Hess Oil and Chemical Corporation merged with Amerada Petroleum Corporation. The new company name, Amerada Hess, appeared on the side of the Hess Oil Tanker Truck. The Hess logos no longer on the cab doors but the “Gasoline” decal stayed on the passengers side of the tanker and the “Fuel Oils” on the drivers. This was an in-house promotion to announce the new company name and were only given out to the executives of Hess and Amerada Corporation. The battery compartment is clean (see pic) and all the lights are in working order. The “Seasons Greetings” card is also included (see pic). The truck measures approximately 13″ in length and complete with excellent decals with only slight age wear (see all pics). The box is in excellent condition with bright crisp graphics and probably one of the best we have ever seen (see pics). Complete with both top & bottom inserts in mint condition. Don’t miss your chance to acquire this highly collectible piece for your Hess collection.